It is my privilege and honour to write this testimonial for Health International, who were very influential in aiding me through my test! My family and I have been members of Health International for four years, and we are very pleased that we made that decision. In early 2013 I was involved in a serious road traffic accident, that put me in intensive care, on a respirator, with numerous broken bones, for just short of two weeks, and then in high care and a private ward for another ten days. During this time I had numerous tests, x-rays, CT scans etc done to determine the extent of my injuries. It would be amiss of me to not mention the people who came to my rescue. The passer bys, paramedics, surgeons, doctors, hospital staff etc, who helped and guided me through my testing times – many, many thanks! To say Health International were brilliant, is an understatement – they were my lifesaver (in conjunction with the people already mentioned above), then and now. They sorted all my medical bills, and I must reiterate all the bills, from hospital fees, doctor and surgeon fees, consultations, physiotherapy etc. Health International, were outstanding in following up on what was happening in the hospital, including ward and family visits. This definitely reflected their professionalism and personal care. 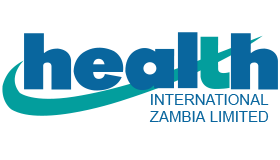 Health International has guaranteed payments for follow up surgery that was required two years later, albeit out of the country. My family and I really appreciate all that you have done for us, and me in particular. To know that we have this backup and service, really assures us. We hope we didn’t put Health International to the test…..but we know they passed our test with flying colours!